Had to leave very early yesterday hence missing post. 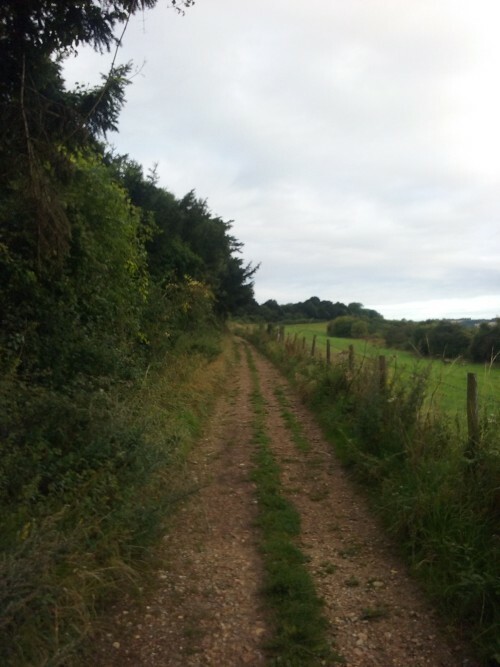 Lovely to find footpaths with signposts – one feels catered for. 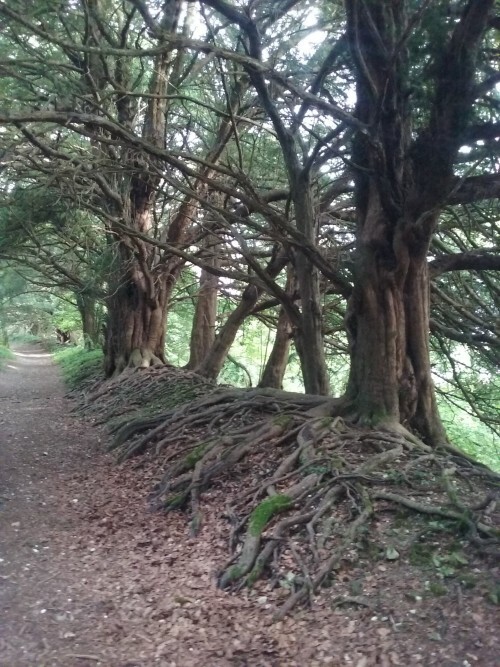 There are lots of ancient yews along the path. Bumped into a couple of cousins of my deer friend from the other day. Curious how in France the deer looked at me indignantly and then disappeared. Here I surprised this pair on the footpath but they seemed kind of happy to see me. Then instead of disappearing they bounced around showing off like a couple of kids and then lost interest and left me alone. Ancient yew trees and deer playing hide and seek.